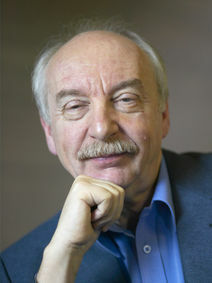 This week on Research Heroes we’re featuring professor Gerd Gigerenzer who is Director at the Max Planck Institute for Human Development in Berlin and former Professor of Psychology at the University of Chicago. He has won the AAAS Prize for the best article in the behavioral sciences and the Association of American Publishers Prize for the best book in the social and behavioral sciences. His award-winning popular books Calculated Risks: How To Know When Numbers Deceive You, and Gut Feelings: The Intelligence of the Unconscious have been translated into 18 languages and his academic books include The Empire of Chance,Simple Heuristics That Make Us Smart, Rationality for Mortals, and Bounded Rationality: The Adaptive Toolbox (with Reinhard Selten, a Nobel Laureate in economics). Together with the Bank of England, he works on the project “Simple heuristics for a safer world.” He has trained managers, U.S. Federal Judges and German physicians in decision-making and understanding risk and uncertainty. I wish that someone had told me at the beginning that research and writing is more fun than playing Jazz and Dixieland (my previous career). I most admire academically Herbert Simon, because he was no respecter of disciplinary boundaries. There are two ways to do research: one is to identify with a discipline, and to research whatever topics others do; the other is to identify with a problem, and use the knowledge and methods from various disciplines to solve it. Real innovation almost always comes from problem-oriented research. Asking about the best research project I have worked is like asking me to single out a Wagner opera as my favorite – like the operas, the projects mostly build on each other and form a single body of work. The worst research project I was involved in: In the early phases of discovering cognitive heuristics, some researchers at my center were overly enthusiastic about the predictive accuracy of a particular heuristic in forecasting sports results. Fortunately for us, the press followed its usual pattern of announcing a dramatic result and just as quickly forgetting it. The most memorable experience when I was doing research was Ulrich Hoffrage’s and my totally unexpected discovery of the “less-is-more” effect. Initially we were dismayed by this counter-intuitive result, which ruined the experiment in question, but answering the question of how it could be so led to the fast-and-frugal heuristics program. The one story I always wanted to tell: Up to now my audiences have been kind enough to listen to all of my stories. My books Rationality for Mortals and Gut Feelings are full of stories about research. A research project I wish I had done: Hmm. When I trained about 1,000 physicians as part of a Continuing Medical Education program to understand risk und uncertainty, I learned that about 80% of physicians are statistically illiterate. I always wondered why medical schools don’t teach medical students to understand evidence, and why most patients, including academics, nevertheless blindly trust their doctors. And why so few psychologists are willing to leave their labs and go out and teach doctors. That would be an important research project I always wanted to do. And probably will. If I weren’t doing this, I would be a guitar or piano player with my former jazz band. The biggest challenge for our field in the next 10 years lies in studying how one should rationally deal with unknown risks (“uncertainty”), as opposed to known risks (“risk”). Uncertainty means that not all alternatives, consequences and probabilities are known – as in most of our decisions. Under uncertainty, one cannot optimize and has to rely on smart heuristics. Probability theory and logic are the tools for known risks; heuristics and intuition are those for uncertainty. This distinction is not always respected, and there are still many who believe that subjective probability theory would be the only tool that is needed to make good decisions. My advice: If you are average and unimaginative, do what the others do and pursue a decent career. If you are brilliant and smart, try to think deep, be bold and take professional risks.